Turkish media have claimed that a geographically limited no-fly zone will be enforced as part of their cooperation agreement with the US on Syria. US officials have denied this. But even if it’s true, it may not be such good news. If it happens, Assad will still have the same number of aircraft; he will still have the same number of bombs to drop. 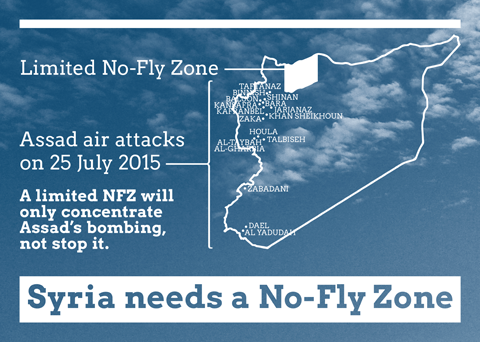 A geographically limited no-fly zone will only concentrate Assad’s bombing, not stop it. Turkey carries out strikes in Syria, The Guardian, 24 July 2015. US State Department press briefing, 24 July 2015. 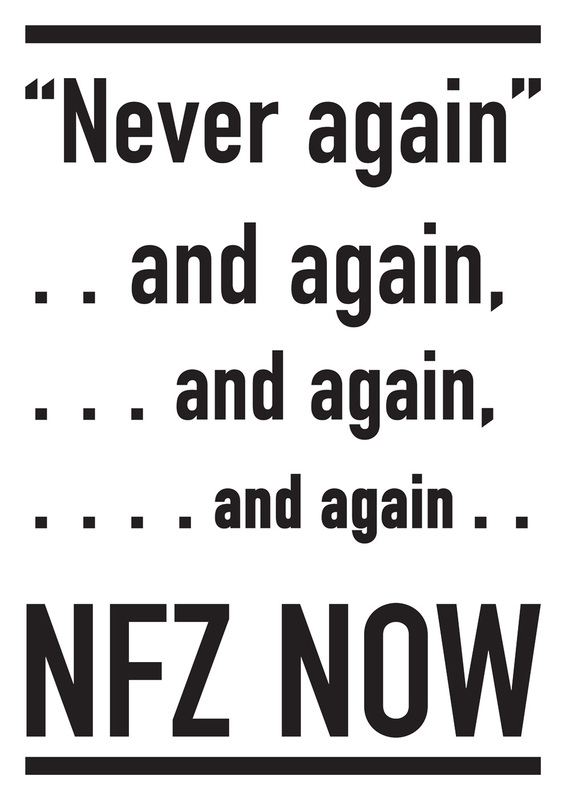 No-Go for Syrian No-Fly Zones, Says State, by Michael Weiss, 24 July 2015. Earlier post: A critical response to calls for a geographically-limited No-Fly Zone, 28 April 2015. 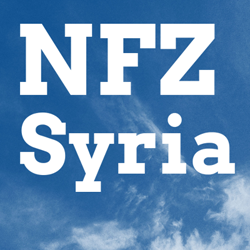 Syrian No-Fly Zone: From Slogans to Details: A response by Frederic C Hof to Nicholas Burns and David Miliband’s article. 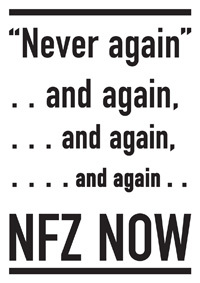 Never again, and again, and again: On Bosnia and Syria. July 2015. Deter and Retaliate: On buffer zones, safe zones, and air exclusion zones. December 2014. 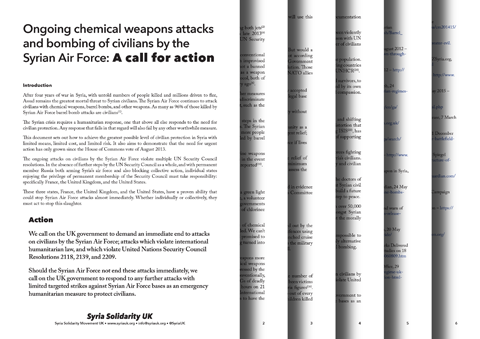 Stop the barrel bombs: A moral and legal responsibility to use force: On the morality, legality, and practicality of intervention, and responsibility to act. April 2014. Strategic Horizons: For Syria No-Fly Zone, Less Is More: On the spectrum of no-fly zone options. January 2014. No-Fly Zone options: Reasons for favouring a limited strike option. January 2014. NFZ reading list. Reporting, analysis, and advocacy, from 2011 to early 2014.